Balance is easy to take for granted; after all, our every movement relies upon it in some fashion. Most of the time, we only notice balance when it fails us – like when we trip over or find ourselves leaning slightly to the left or right while standing. Actually, without balance, we couldn’t do much at all, which is why it’s so important to build a foundation of proper balance, particularly as we age. 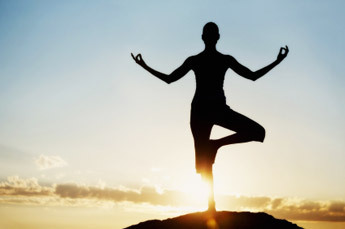 Balance is controlled by three distinct systems: the visual system (eyes), the vestibular system (inner ear) and proprioception – a very complex system of sensors in the skin, joints, muscles, tendons and ligaments that are responsible for you feeling vibration, pressure and the overall awareness of the position of your body. Balance is an inborn characteristic that starts developing shortly after birth. As eyesight improves, the muscles of the neck develop as a child explores their new world and eventually is able to lift their head. This begins the development of the curve in the neck. This is followed by crawling during which the curve in the low back is formed. This is all necessary for the ultimate act of balance – standing. Standing is followed by falling (over and over again) as the brain is flooded with information regarding where we are in space. All of this information ultimately is used to initiate the first steps of walking. The feet are very important in balance and posture because they are loaded with proprioceptive sensors. These sensors are constantly sending signals to the brain, which then sends signals back down the spinal column to the muscles telling them when to contract and when to relax. Every movement from standing to walking, running and jumping are controlled by this system. 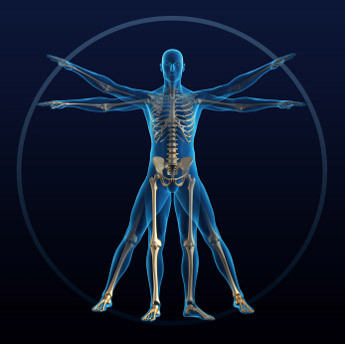 How efficiently the joints of the spine work are directly affected by the feet. There are three arches in each foot that serve as the foundation of the entire body. Studies have shown that nearly 80% of the population has lost some or all of the support in those arches. When that happens, it creates physical stress in the feet, knees, hips, pelvis and spine, as well as an abnormal amount of stress on the special receptors in the feet that are trying to communicate with the brain. This physical stress can contribute to degenerative arthritis, while the neurological stress can interfere with normal muscle function. Research has shown that joints in the body that don’t move freely turn off those signals that enhance balance. So, if your joints are not working optimally, then your balance is most certainly affected! Many chiropractors are specially trained to evaluate the structural integrity of the arches of the feet to see if they are a contributing factor to postural stress. Supporting the arches of the feet with an orthotic device (insert) that you wear in your shoes has been shown to block the abnormal foot motions that create a twisting stress in the knee, hip, pelvis and spine and that improves balance and posture. The messages sent from the feet to the brain are done so more efficiently when the arches are properly supported. This support is best implemented as early as age 6, but can be helpful to anyone who would benefit from improved balance and posture. Begin by standing on one leg for 30 seconds and then shift to the other side. Practice this until you can consistently stand on each leg without losing your balance. Stand on one leg with your arms crossed for 30 seconds and then do the same while standing on the other leg. Crossing the arms adds complexity to the amount of information going to the brain from the sensors in the muscles and joints. Stand on one leg with your eyes closed for 30 seconds. (Be sure you are in an area where you can support yourself if needed. Stand next to a doorway or have a chair available to reach out to for support.) Repeat with the other side. Closing the eyes increases the difficulty of the exercise by removing one of the systems of balance. Stand on one leg, close your eyes and cross your arms for 30 seconds. Repeat with the other side.